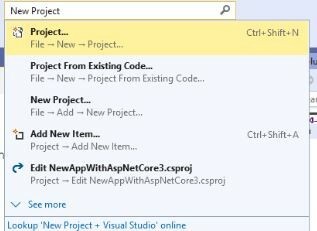 How to Create First App using Asp.Net Core 3.0 and Visual Studio 2019? So, let’s start in step by step. First-of-all,we will install .Net Core 3.0 in first step. In this step, we will install .Net Core 3.0. So, to do it, just click here to go to site and download the specific .Net core installer according to your machine. 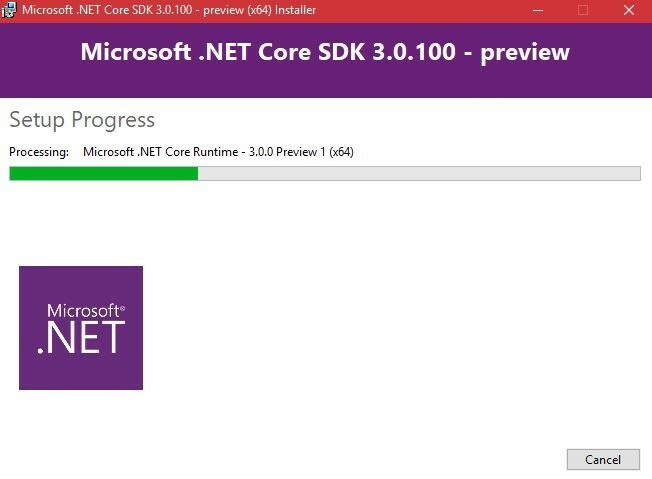 Once the download is complete, then click on installer to install .Net core 3.0 on your system. 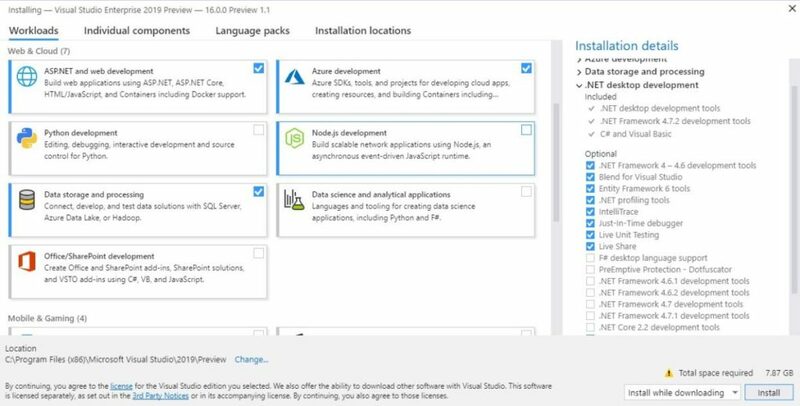 In this step, we will install visual studio 2019. 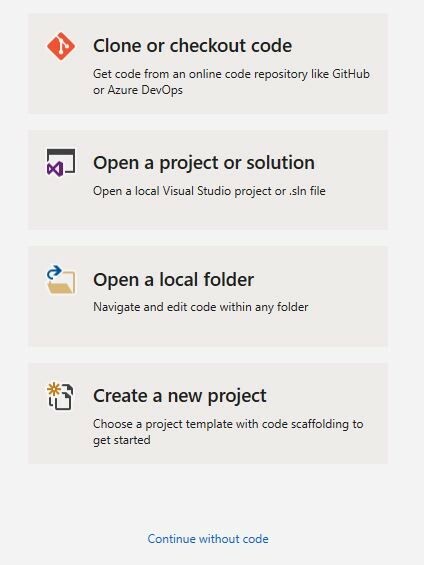 So, to do it, just click here to go to visual studio site and download the Visual Studio 2019 preview. 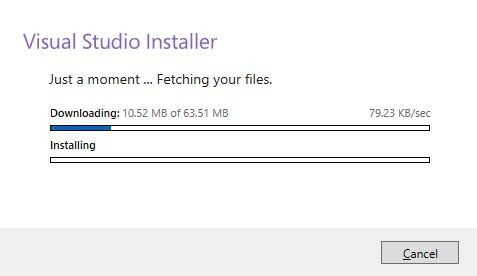 Once the installer is download, then click on visual studio 2019 installer, then the installer will install the visual studio 2019 with all required files. After completing the installation, then you will see a new workloads window. Just select the workloads what you need. Then it will take some time to install. After completing the installation, now just click on launch button. 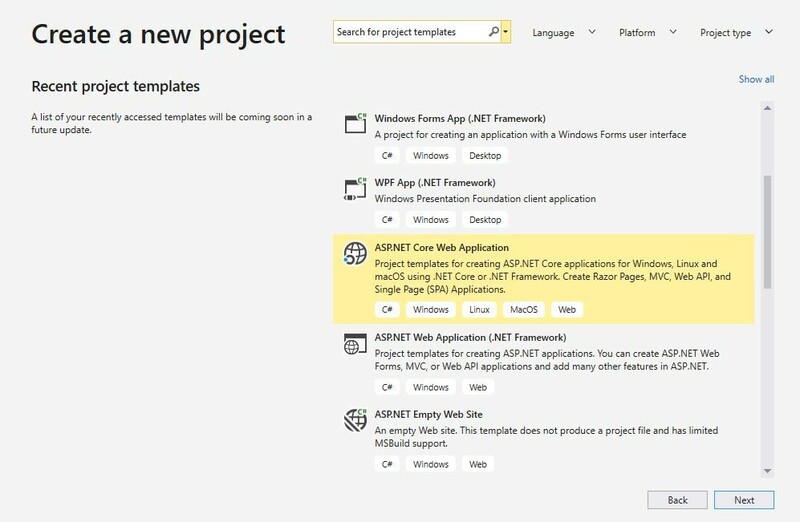 Step # 3 – Create new project with Asp.Net Core 3.0 and Visual Studio 2019. 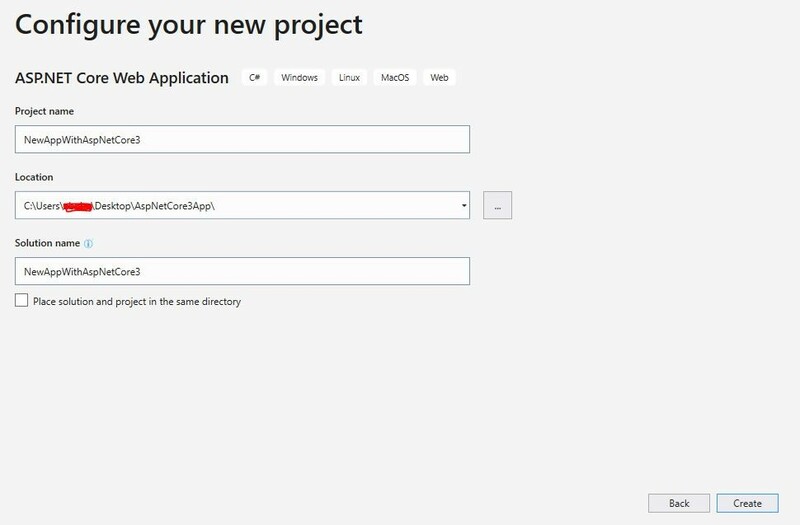 So, in this step we will create a new project with Asp.Net Core 3.0 and Visual Studio 2019. So, click on “Create a new project” button. Then it will open a new popup as you see in the below screenshot. In the above screenshot, you can choose language, platform and project type from above three dropdown. 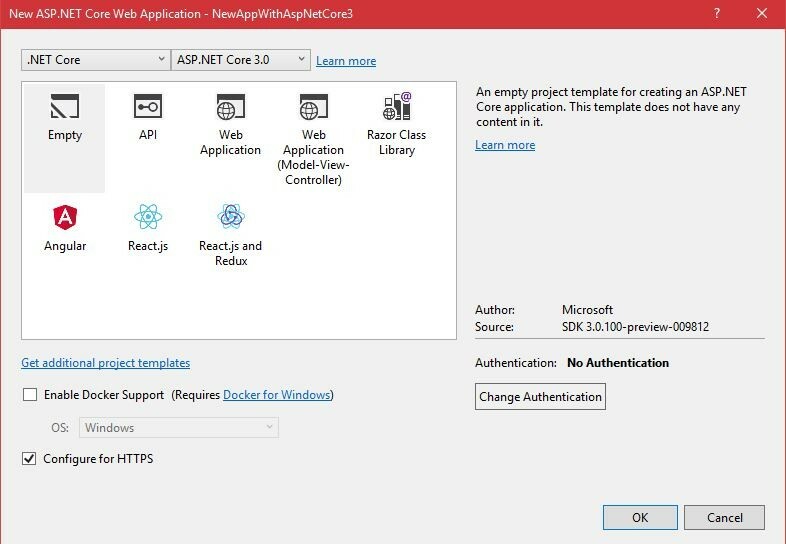 Now, in this tutorial, we will choose “ASP.NET Core Web Application” and then click on “Next” button. Then you will see a new popup as you see in the below screenshot. Now, after clicking on “Create” from above screenshot. Then you will see a new popup, where we need to select the project template. 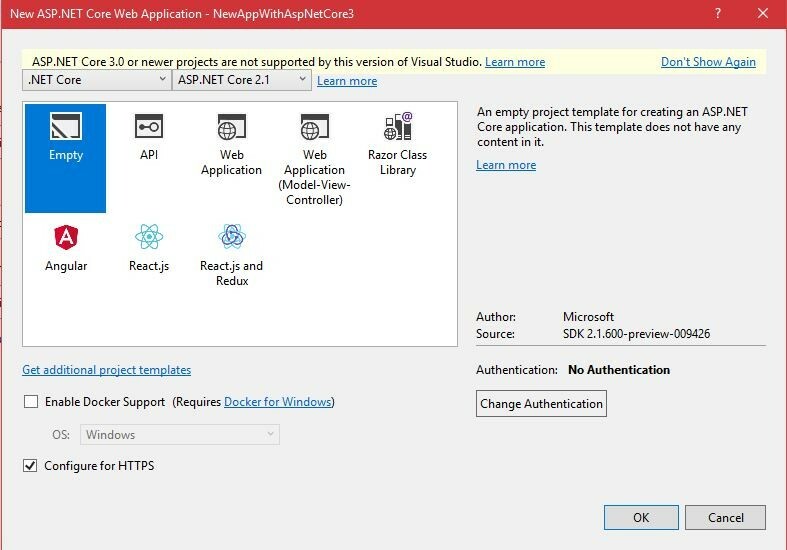 Note: – If you see a warning in the dialog box like this “ASP.NET Core 3.0 or newer projects are not supported by this version of visual studio”, as you see in the below screenshot. To get rid of this issue, just restart the visual studio and then create the Asp.Net Core Web Application again. Then you will see the popup as you see in the below. Then choose “ASP.NET Core 3.0” from above dropdown and then choose “Empty” template and then click “OK” button. Then after some time, it will create Asp.Net Core Web based application. There are some below changes in Visual Studio 2019 preview. You can identify and then fix both warnings and suggestions with the click of a button.